Stormproof Roofing, a family owned and operated business, with both Bronze and Silver awards from the Housing Industry Association. With over 30 years; satisfying customers using the best quality products and services. We gain popularity in Melbourne and neighbouring areas through our satisfied customers. Our customers are growing tremendously in the past years and we have many repeat customers. The data only shows that our work is superior in quality. All works come with warranties from 5 to 15 years and they are all personalized to meet the needs of customers. Customers can avail payment plans that suit them best. Senior citizens and pensioners can enjoy discounts. Our business quotes and inspects your roof for free. We will not oblige you for anything. No hidden agenda. Just pure help. It is always the best choice to get our services. We are more than willing to discuss options that are available to you. So, give us a call and get quality service at reasonable price. We offer free roof inspection and free quote. For more enquires about our services, please give us a call on 03 9585 3744. Our business aims to stop your search for the best roof restoration in Melbourne and neighbouring areas. We are here to give you the best service that you deserve. Stormproof Roofing standard is designed to give you satisfaction. Our business always aim to perform better than what you have expected in roofing restoration. Upon choosing us, you can expect that our roof restoration experts will carefully handle roof restorations. Our workers are properly trained to handle you professionally. We value quality over earning money from customers. We always put you first on our priorities. We are very confident of our service and as a way of showing you our confidence, we offer up to 15 years warranty to our service. You can have a peace of mind with us. No need to worry for additional fees for back jobs. Our work will last in many years. Thousands of homes are properly restored, repaired and re-roofed. Our business not only values quality to all our works, we are happy also to serve you at affordable rates. You can hardly find better than our business in Melbourne. Quality is not always expensive. Our business offers quality that you can surely afford. Roof maintenance is like maintaining your car. Without proper maintenance your car or your house will not operate as it should. A house plays a big role in people’s lives but it is one thing that often on the last priority in terms of maintenance. Your house protects your belongings and most importantly your love ones. It keeps you safe and feel comfortable every day. One part of the house that should be maintained is the roof. Common problem with the house roof is a leak. This can be addressed easily by just replacing broken tiles. However, if you do not pay attention to this small problem, it can be a cause for electrical problems, plasters damages, mould and mildew. 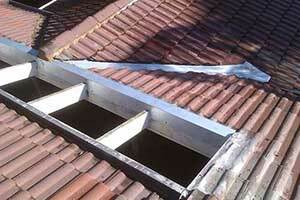 A simple roof leak that is not properly attended can become a costly repair. Properly maintained roof can save you a lot of money. You put the largest investment in your home. Our business aims to extend the life of your home for many years by offering to you complete protection to your greatest asset. Our business does not only make your roof looks good. We always make sure that it can be beneficial to your entire house for long period of time. We are honest in giving you options. We recommend what is needed. Our business restore any kind of roofs, whether it is tiled or metaled, that are in need of repairs or replace your roof with high quality colorbond metal roofing. 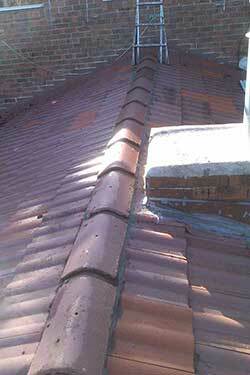 Our personnel are all registered and licensed roof plumbers and tilers.